We had a lot of new names on our lips (and on the blog) this year, with all five Monuments going to first-time winners and newbies a go-go winning their first Grand Tour stages. So this is our salute to the young’uns who we think have finally stepped well and truly into the spotlight after a season or two of waiting in the wings. Sheree: Not for nothing is his nickname “Superman”! After two years of solid performances, the 2016 season was Miguel Angel Lopez’s breakthrough, celebrating victories in major stage races worldwide. He started by finishing 4th overall in the Tour de San Luis, winning stage 6 and the young rider classification. A month later, he won a stage and finished 3rd overall at the Tour de Langkawi. June saw him celebrate his biggest career win to date when he won the Tour de Suisse – the first Colombian to win the event – ahead of seasoned pros, Ion Izagirre and Warren Barguil. Following these successes, Lopez was one of five riders selected to represent Colombia in the Olympic road race. 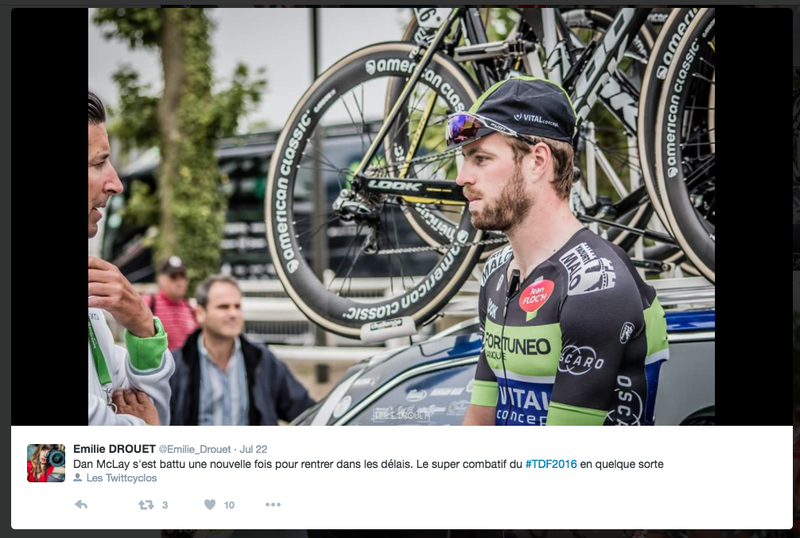 Ant: Dan McLay was a big hit at Le Tour, wasn’t he? A British sprinter, seemingly appearing from nowhere, banging out top ten finishes, without the support of a big team. Even finishing an impressive third in Stage 6, just behind Cav and Kittel! Who’d have thunk it? Kathi: The second Colombian on this list, Jarlinson Pantano rode his first season for IAM Cycling in 2015 and this year – the team’s last ever season – he seemed to spend his summer in every breakaway that was going. (Word has it that UCI 2017 rules are being finalised to require every breakaway to have either Pantano or Darwin Atapuma in them or they don’t count). 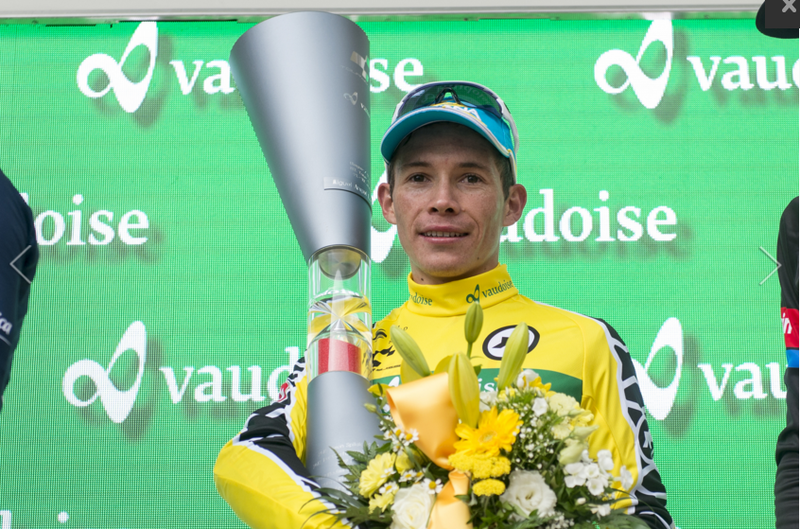 June saw him finish fourth overall in Tour de Suisse, winning Stage 9 from – where else? – the breakaway. His emotional response to his win was beautiful to behold – and you know how much I love it when athletes cry with joy. He then rode his second Tour de France, finishing 19th overall (same as last year), winning stage 15 and taking the combativity award on stages 17 and 20. His move to Trek-Segafredo should stand him in good stead for taking another leap next season. Midge: I’ve followed Magnus Cort for years and was delighted to see the strong Dane with a penchant for a tough uphill sprint break out in 2016. 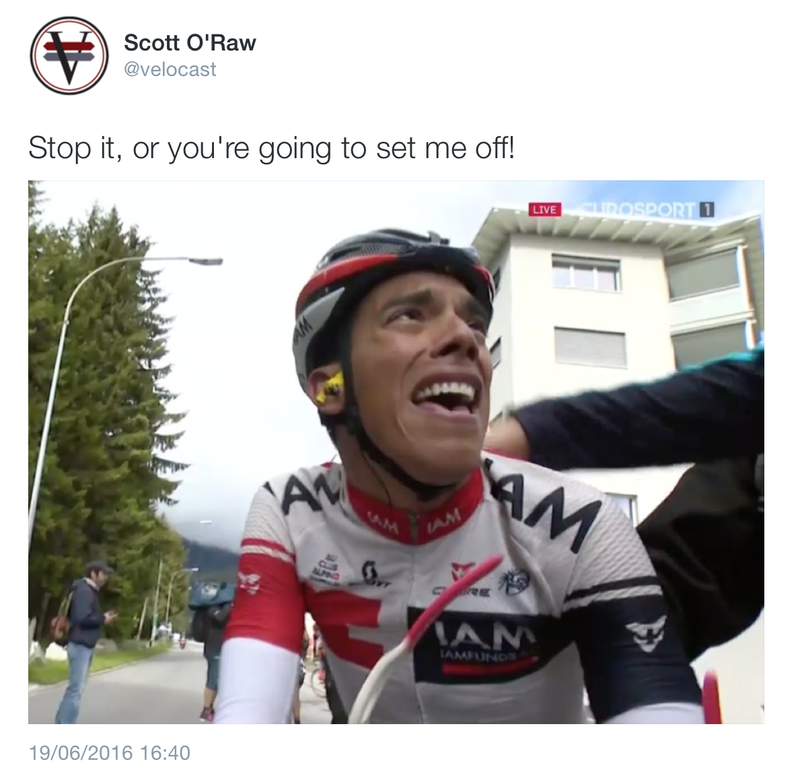 Without doubt, the highlight has to be his two blitzing victories at Vuelta a Espana. Not only were they his first WorldTour wins, but they also came at the end of his first ever Grand Tour – and one where Orica BikeExchange were gunning for the podium. This performance gained him captaincy of the Danish squad for the World Championships where he was unlucky to puncture out of the front echelon. It was a pleasure to see him boss the road and blossom under OBE’s social media presence. Panache: The first ever British winner of the Tour’s white jersey, Adam Yates emphatically demonstrated that he is a force to be reckoned with and a Tour de France contender for the future. In the past, Yates’s time trialling had been severely lacking but he made tremendous improvements and it really showed during the Tour where he was able to limit his losses. He still needs to improve in the TT but all the signs are moving in the right direction. His performance in the mountains was stellar, apart from stage 19 where he suffered a mechanical but he stayed calm and only relinquished 30 seconds to his GC rivals. Between him and Esteban Chavez, Orica BikeExchange have a bright future in the Grand Tours. Adam Yates took Breakthrough Rider with 34% of the vote, with Jarlinson Pantano coming in second with 25%. Dan McLay nearly overtook him with 23% of the vote, while Magnus Cort and Miguel Angel Lopez both got 9% of the vote.